Southern Leyte (Cebuano:Habagatang Leyte) is a province of the Philippines located in the Eastern Visayas region. 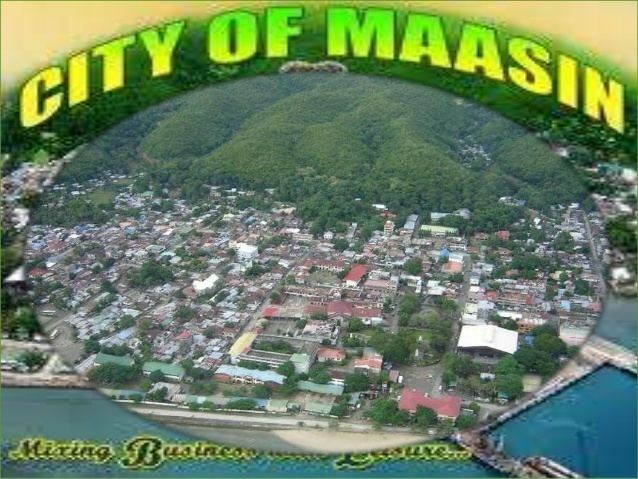 Maasin City is the capital of the province. Southern Leyte was once a sub-province of Leyte before it was divided from the latter. Southern Leyte includes Limasawa, an island to the south where the first Roman Catholic Mass was held and considered to be the birthplace of Catholicism in the Philippines. Southern Leytes geological features created several issues in the province after the flooding of the Subangdaku River and the 2006 mudslide in Guinsaugon. Organizations warned the province it was susceptible to natural occurrences like landslides and floods. 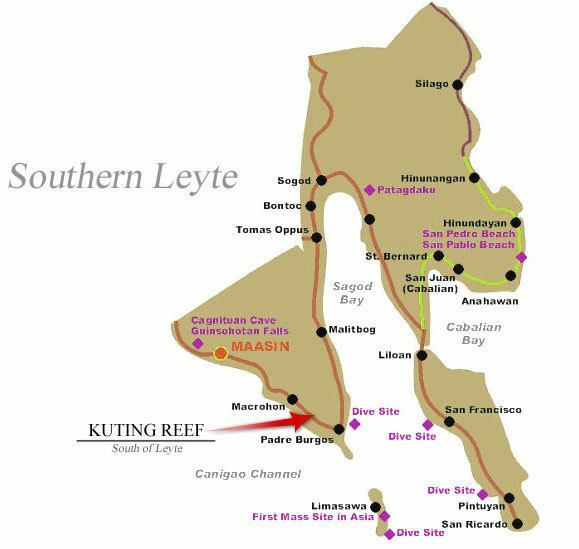 Southern Leyte contributes to the economy of the country. It forms an important part of the inter-island transportation system of the country, with ferries transporting people and goods between Liloan and Surigao del Norte in Mindanao. The province is well known for its quality abaca products and is the countrys major producer of abaca fiber. Southern Leyte occupies the southern quarter of the island of Leyte. It is bounded by the province of Leyte to the north, by Surigao Strait to the east, Bohol Sea to the south, and Canigao Channel, across from Bohol, to the west. Its total land area is 179,861 hectares (444,450 acres). The province is characterized by relatively flat lands along the coastal areas where population centers lie, but rugged mountains towards the interior. The province has inland water features. Based on national data, the province has altogether 93 rivers including 18 major ones, namely the Amparo River in Macrohon, the Canturing River in Maasin City, the Das-ay and Pondol Rivers in Hinunangan, the Divisoria River in Bontoc, the Hitungao and Lawigan Rivers in San Juan, the Maag River in Silago, and the Subangdaku River in Sogod which is the biggest of all. The province has an inland lake called Lake Danao located in the mountains of San Juan and Anahawan, towns in the eastern region. Subangdaku, the provinces largest river, created an issue over the area. It can be considered a braided river composed of several channels from near areas that divide and reunite forming an alluvial fan with very wide floodplain. As such, the river usually became hazardous during typhoons after heavy rains. The river has overflowed, spilling its waters on the low-lying towns of Liloan and San Vicente and destroyed an ongoing flood control project worth millions of pesos. The river meanders along its course, ever changing its way over time. During the time it floods, it desroys every side of its course. 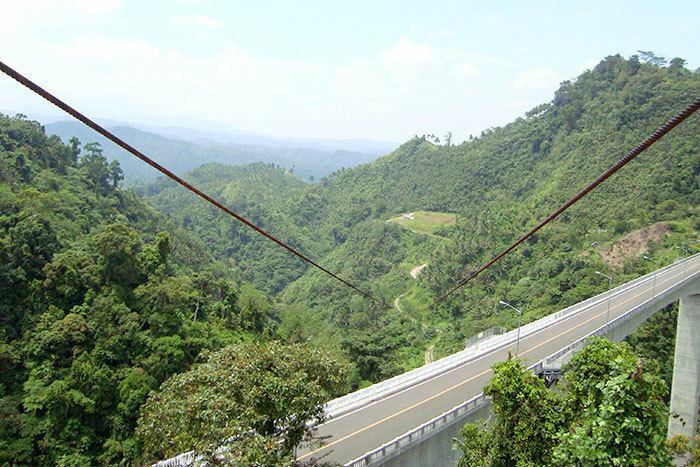 In 2001, portions of the road and banks in Barangay San Miguel along the river were destroyed, including part of the Philippine National Road. Local officials blamed the rechannelization and uncontrolled quarrying of gravel and sand at the side of river as the cause of the flood. At a meeting on March 18, 2002, one of the representatives of a government agency alleged that the reason of the incidents of flood and other environmental problems in the river was due to the "Philippine Fault" which caused rocks to rumble down. However, the reason was contended because the fault is a geological feature and environmental problems in the province just occurred that time. Along with other mountain forms in the province, Mount Nacolod in Hinunangan town has the highest peak with an elevation of 948 meters above sea level. Young volcanic rocks are discovered in the terrain areas, which cover the top of the southern mountain ranges of Mount Cabalian in the Pacific Area and Mount Nelangcapan in Panaon Area. The province lies within the Philippine Fault System. The major fault lines traverse the municipalities of Sogod, Libagon, St. Bernard and San Juan to Panaon Island. Based on MGB Region 8 data, these areas had experienced strong earthquakes in 1907 and 1948 with a magnitude of 6.9 and on July 5, 1984 with a 6.4 scale. Bureau of Mines and Geosciences warned that Southern Leytes natural and geological features make it susceptible to landslides and floodings. The affiliated group stated that there are four contributory reasons: unusually heavy rains; numerous faults and badly broken rocks; steep slopes; and absence of effective vegetative cover. The province has numerous types of soil. A special soil type within Maasin Clay, Guimbalaon Clay, Himay-angan Clay, Bolinao Clay, Quingua Clay and Malitbog Clay series is found to be a good raw materials for ceramics and pottery activities of the local residents. As early as 1898 during the Spanish and American periods, there had already existed a "sub-province" consisting of the municipalities from Palompon to Hinunangan, with Maasin as the center. Some government offices had already been established in Maasin on the southwestern part of Leyte to govern the area. Historically, the governing city was the depository of cedula tax collections from Palompon to Hinunangan. This was administered by the office of the Administrado de Hacienda, equivalent to the Provincial Treasurer, a position under the Secretario de Hacienda. There was also established in Maasin a Court of First Instance, then known as the Promoter Fiscal, where all minor administrative and other cases from Palompon to Hinunangan were heard. During the Spanish colonization, the province was sparsely populated. The continued raiding of Moro slaves discouraged the province from growing and developing. However, in the 19th century immigrants from near provinces like Bohol and Cebu populated the area. In 1942, Ruperto Kangleon held a conference in the town of Sogod, when the first meeting attempt in Malitbog, a town to the east, failed due to many leaders staying away. He was trying to unify all guerrillas helping the Philippine Commonwealth troops during World War II. From 1944 to 1945, the Allied Philippine Commonwealth Army soldiers and Filipino guerrillas attacked the Japanese Imperial forces in an effort to liberate Southern Leyte, and American troops landed on Leyte on October 20, 1944. Although most people are Christians, a very few who live in remote villages of the province hold on to pre-Hispanic influences and make offerings and sacrifices before planting their crops. Farmers ritually sacrifice chickens and pigs to ensure that the spirits or elementals which they believe to be the cause of good harvest will grant them one. 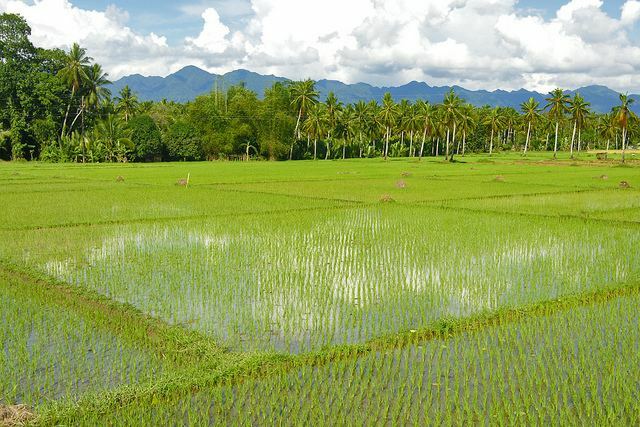 Most of the people in Southern Leyte go into coconut planting, a widely distributed industry, especially in mountainous and even plain regions. The GIZ of the German Development Cooperation has embarked on a value chain study on one of the most important products in Region 8 — the coconut, particularly in Leyte and Southern Leyte.